Many of our projects are programming-heavy and we are eager to do the work. We've produced major online applications, basic dynamic web features, interactive CD-ROMs, and several ecommerce sites. We believe in test-driven rapid development for high quality results. The Pew Center came to Sunnywood as one of the leading devleopers of online carbon calculators in order to build what has become a bevy of sites for their Make an Impact program. Sunnywood built a themeable calculator that supports social groups and tracking of carbon footprint reductions over time. The program is used by several Fortune 500 companies. See the case study. 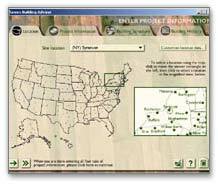 The Nature Conservancy had Sunnywood design and build what quickly became one of the most successful carbon calculators on the Web. 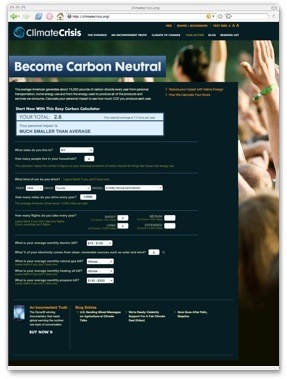 It is consistently the top ranked carbon calculator search result, a million people have used it, and three years after it's development it is still a banner project for TNC. Sunnywood provided all the pieces for this job: design, engineering, and programming. See the case study. 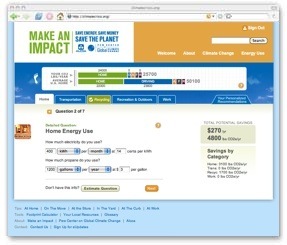 Sunnywood worked with World Resources Institute, Participant Productions, and former vice president Al Gore to develop a carbon footprint calculator for the web site of the film An Inconvenient Truth. We looked back to our work on other carbon calculators and developed a detailed technical specification that effortlessly and accurately guided two separate programming teams. See the case study. 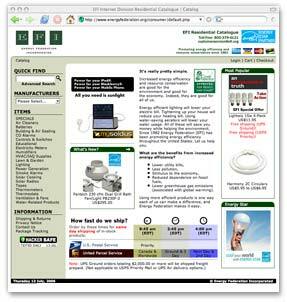 EFI hired Sunnywood Designs in 2003 to take on the ongoing needs of a high-volume product fulfillment system. We redesigned the site, implemented a custom e-commerce engine with multiple storefronts, developed proprietary tools for inventory and accounting integration, and maintained the site for many years. See the case study. 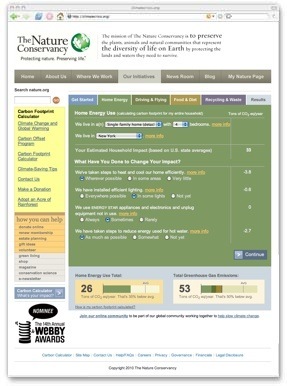 In 2002, Sunnywood Designs teamed up with Performance Systems Development and created the Online Tracking Tool for Energy Retrofits (OTTER) for the electric utilities of New Hampshire. This web application integrates with PSD's TREAT building energy analysis software, linking energy savings projections, energy ratings, and project work scopes with online activity tracking and the tracking of actual energy savings. The application has provided the basis for what is now Green Energy Compass, PSD's industry-leading online energy tracking system. See the case study. 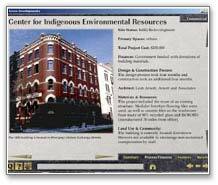 Sunnywood Designs developed the Green Developments 2.0 CD-ROM for Rocky Mountain Institute. This cross-platform Macromedia Director project includes on-disc database integration to deliver information on 200 case studies in green building development. We applied a standard staged-development process to ensure proper review by stakeholders at critical decision-making points. See the case study. 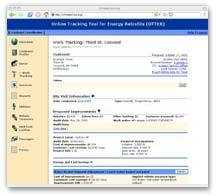 SolarSizer 1.5 was a joint software project with Solar Energy International and NASA. 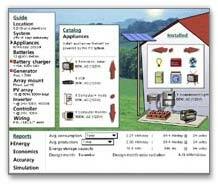 This interactive program allowed users to design an entire solar electric system visually. It also integrated NASA solar radiation data to provide system performance estimates based on historical data. Customization features allowed users to model their own common set of products and local solar data and thus quickly and accurately design systems for clients. GBA was a collaborative software project led by Building Green for which Sunnywood Designs provided technical production. In addition programming an expert system for advising project-specific green building strategies, Sunnywood led the entire technical development process, from design to final product delivery. To support rapid development, we built an online collaboration tool so that the content writers could update source material which then was automatically imported into the program's database. You can also check out our Design Portfolio.